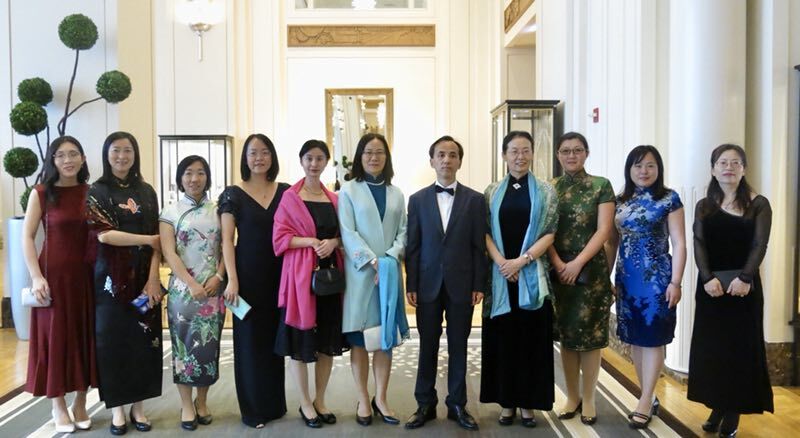 On the evening of April 28, 2018, Deputy Consul General Liu Jun, Counselor Chen Yinghui of education affairs, Consul Zhang Min of cultural affairs, and other female consuls at the Chinese Consulate attended the China Gala hosted by the International Women Associates (IWA) at Peninsula Hotel. 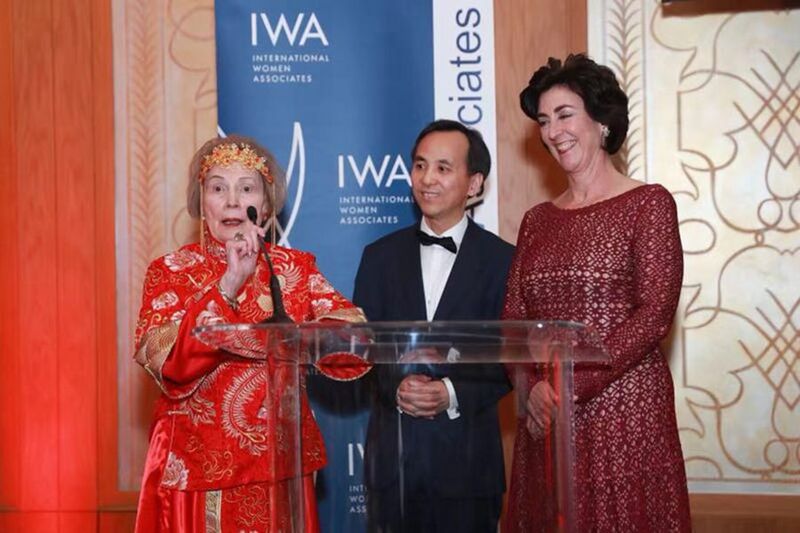 IWA’s founder Doe Thornburg, President Marian Jacobson, Gala Chair Elizabeth Ru Jia, representatives from foreign consular corps in Chicago, and more than 400 guests from all walks of life attended the event. Consul General Hong Lei and Chicago Mayor Rahm Emanuel sent congratulatory messages to the gala. In his speech, Deputy Consul General Liu Jun expressed his warmest congratulations on the first China fundraising gala hosted by IWA in the 40 years since its establishment. He also expressed his appreciation for IWA's contributions to charity, community service, and promotion of mutual understanding and friendship among countries. Deputy Consul General Liu Jun said that since the founding of the People’s Republic of China, China has attached great importance to creating better conditions for women to contribute their talents to the nation’s development. China is committed to protecting and promoting women’s rights to education, health care and employment in various aspects of life. There is a saying in China:“Women hold up half the sky”. In the process of China’s comprehensive modernization and realization of the great Chinese dream of national rejuvenation, women will surely play important roles in all walks of life. Deputy Consul General Liu Jun said that China-US relations have come to a critical juncture. Recently, we have heard such opinions as China poses a threat to the United States or that China-US trade is unfair to the US. Most of us here may not agree with these views. These misconceptions are mostly due to a lack of understanding about China. China and the United States are two great nations with significant influence in the world. The two countries' foreign policy and dialogue with each other are very important to the steady and continuous development of bilateral relations. At the same time, a stable China-US relationship also requires joint efforts by ordinary citizens from all walks of life in both countries. IWA’s China Gala tonight provides a great platform for everyone to know more about China and the Chinese culture. I believe this event will play a positive role in enhancing mutual understanding between the two peoples. 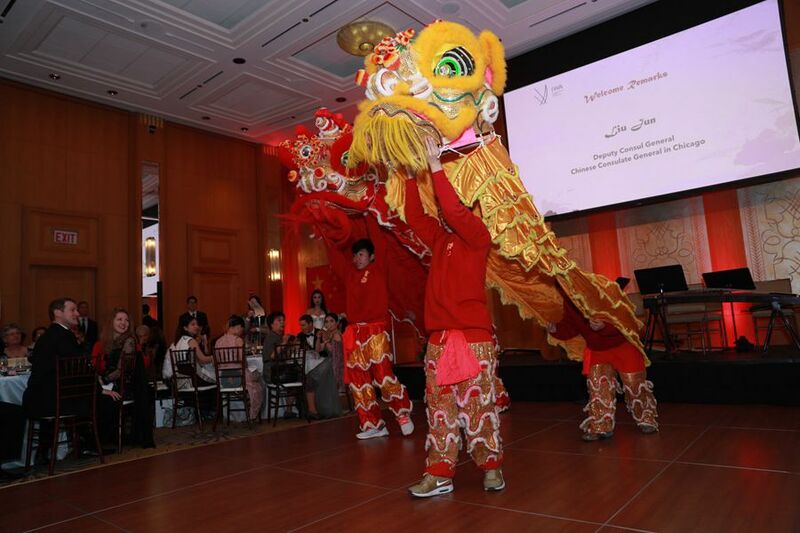 The gala includes a reception, a banquet, a charity auction, a raffle, a cheongsam show and a ball. Many auction items embodying Chinese elements are also on display. Every element of the gala reflects rich Chinese cultural characteristics. All the proceeds of the gala will be donated to charity programs in China and the US.